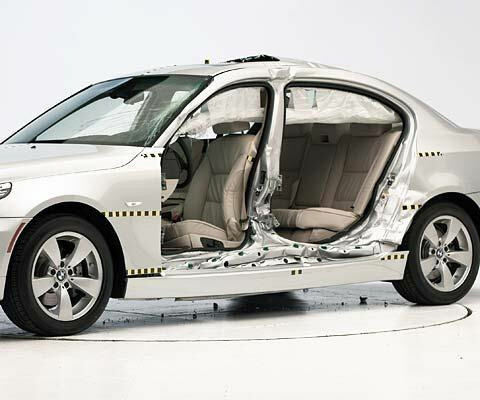 Measures taken from the head, neck, chest, and left leg indicate low risk of injuries to these body regions in a crash of this severity. Forces on the right tibia indicate that injuries to the lower leg would be possible. Head acceleration from the roof rail hit was low. Dummy movement well controlled. During rebound, the dummy's head hit the roof rail. 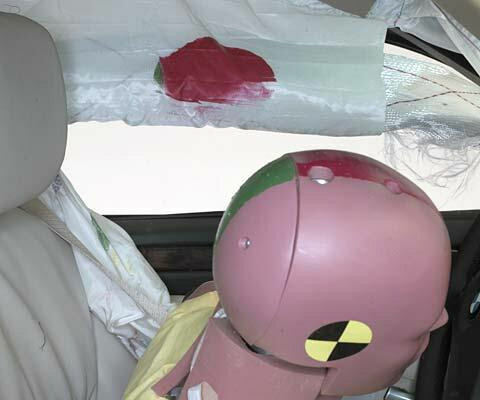 Beginning with 2008 models built after May 2007, modifications were made to the side tubular head protection airbags to improve occupant protection in side-impact crashes (note: information about when a specific vehicle was manufactured is on the certification label typically affixed to the car on or near the driver door). 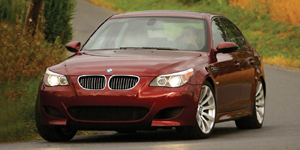 Door trim changes were also made beginning with 2008 model year production. 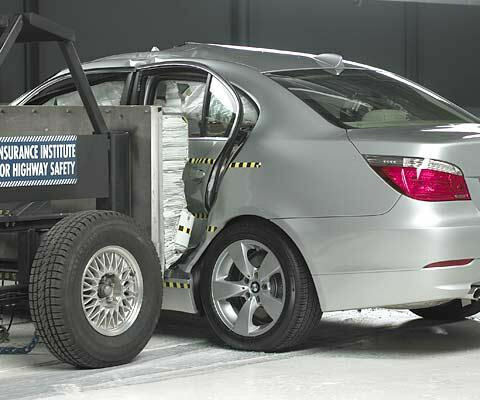 The tested car was manufactured after the modifications had been made. 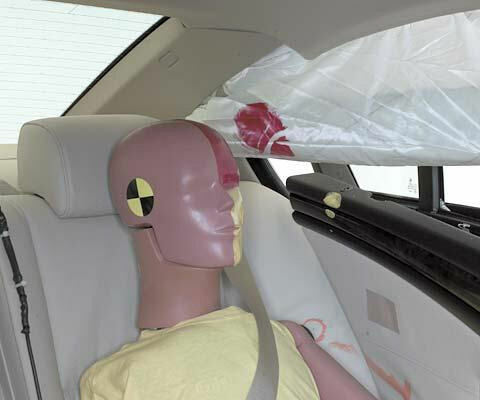 Measures taken from the dummy indicate that rib fractures and/or internal organ injuries would be likely in a crash of this severity. A fracture of the pelvis would also be possible.